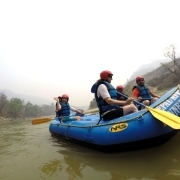 Even though, there are numerous rafting expedition packages offered to interested individuals and groups but these packages could not address the needs of families. 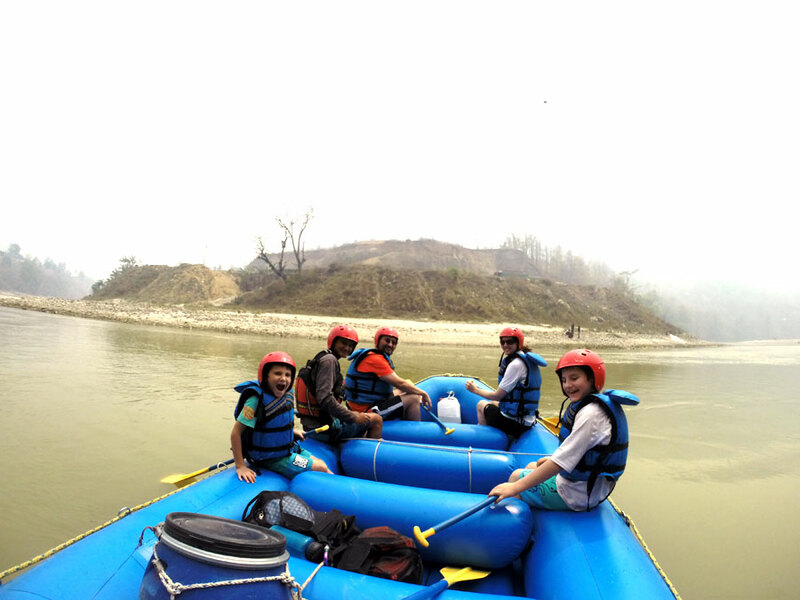 This is the main reason why we put together this rafting package. 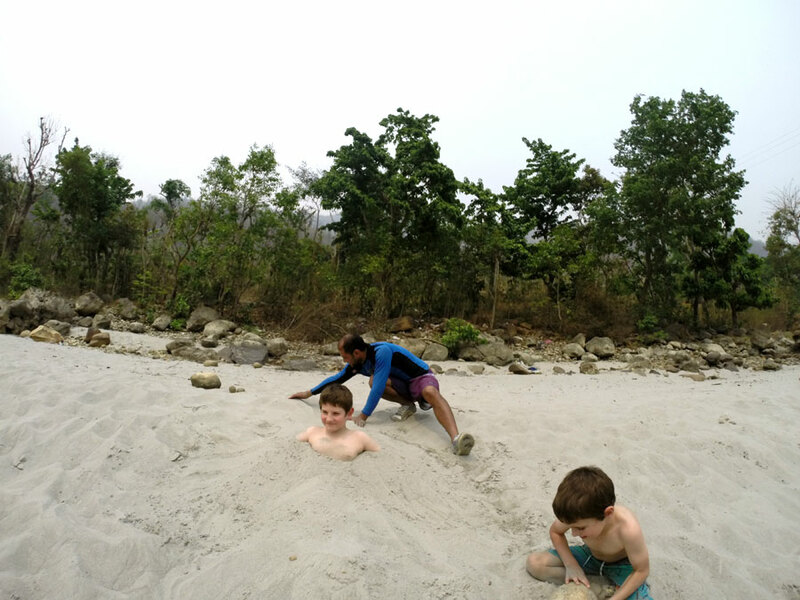 For this trip, we have selected each items in the itinerary carefully so that the experience for the family is suitable, exciting and safe as well. We have also made sure that there is something for everyone in the family, according to their age group, tastes and preferences. This is the perfect trip if you want to push the boundaries of collective comfort zone of your family. This is a family trip, so we want to make sure that each member of your family enjoys the entire trip. 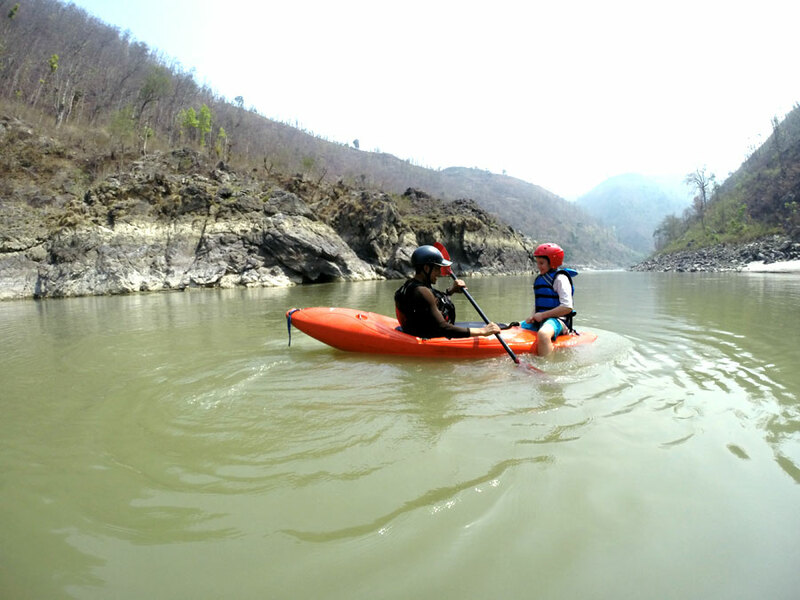 It is true that Trishuli River does contain some challenging (higher Class) rapids, but there is no necessity that we raft over them, we can just take a different route bypassing these rapids. We will assess the situations very carefully and then make a proper decision. 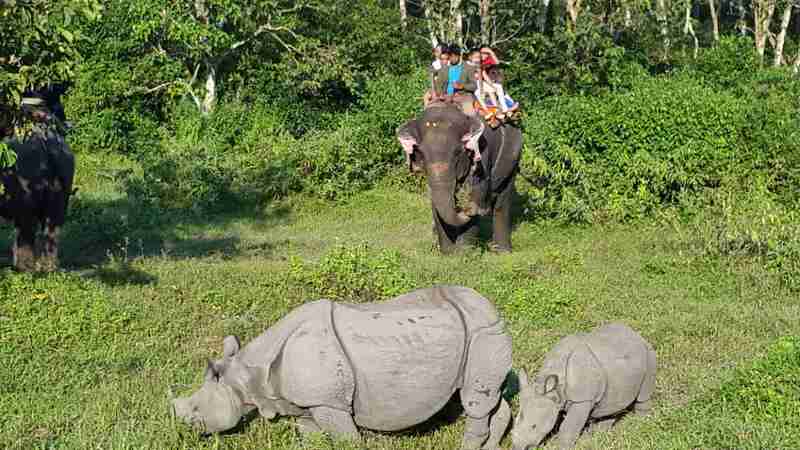 The entire trip is not just about rafting, you will be visiting the famous Chitwan National Park – a World Heritage Site, where you get to experience a whole lot of different activities such as Jungle Safari, bird watching, canoeing etc. 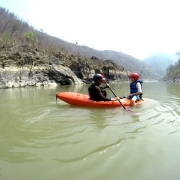 And, yes, you will also be visiting Pokhara – one of the most beautiful cities and the tourist capital of Nepal. 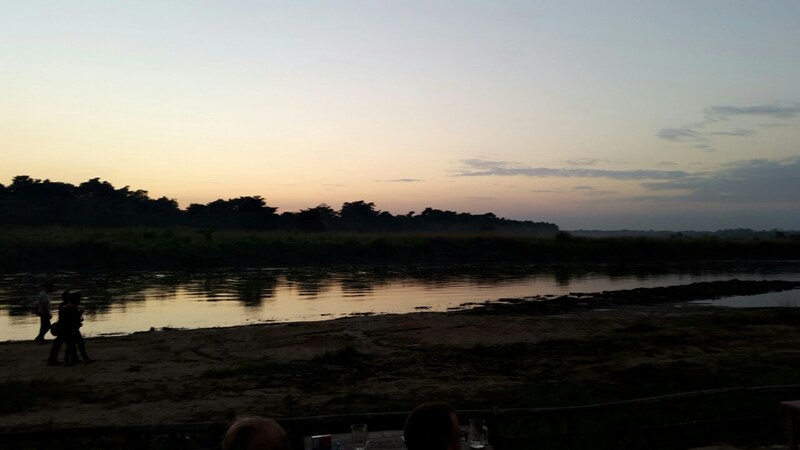 We have years of experience conducting these trips, hence our staffs, will be advising you how to make most out of this trip. We will make sure that you remain safe, entertained and informed during your entire time with us. 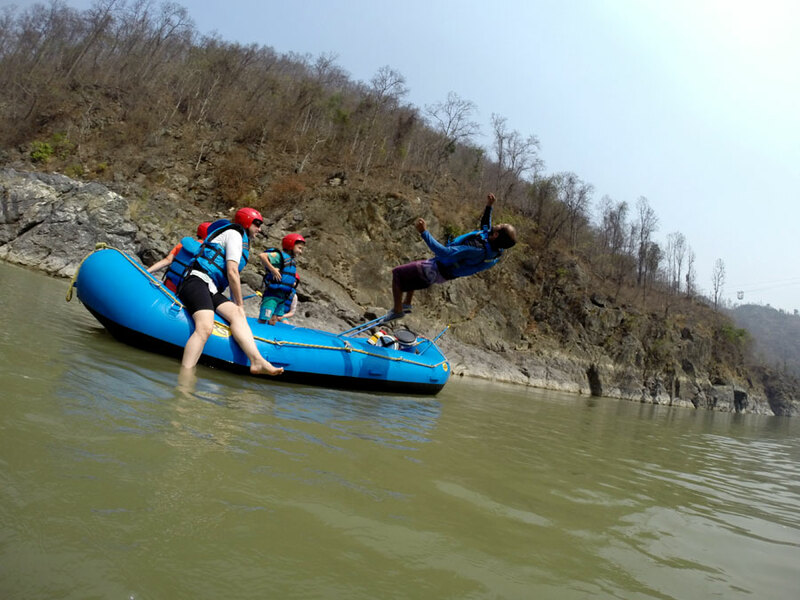 For this trip, we will provide you Nepal government licensed river guides, who have completed Red Cross first aid training. 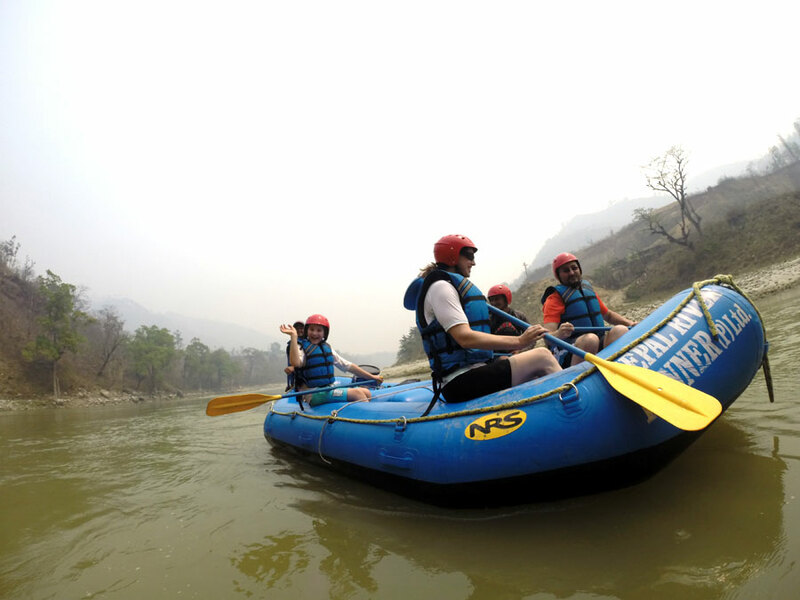 Our guides hold rafting certifications from International Rafting Federation (IRF) and are also trained as Whitewater Rescue Technicians (WRT). Be assured that you will be in our safe hands. After breakfast, early in the morning, we will drive for three hours to reach our put in point at Galaundi. 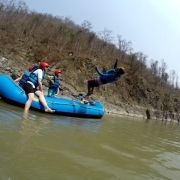 We will prepare our rafting equipments and our field staffs will instruct you on how to use the equipments. 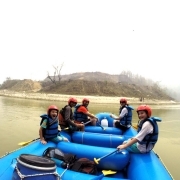 Then, we will start rafting in Trishuli. Initial paddling will be quite easy but it generally gets more complex slowly. 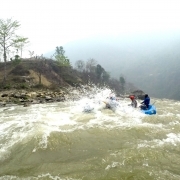 The most popular rapids in this part of Trishuli are monkey rapid (Class IV-), Teen Devi (Class IV), Malekhu (Class IV-). Like we mentioned earlier, we can choose a different path, if we assess the rapids to be unsafe. 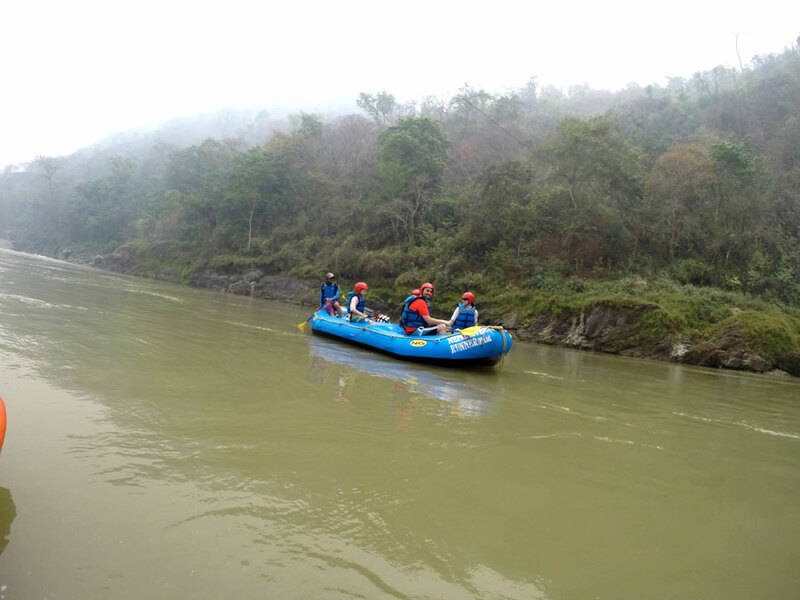 We will raft a little further until we reach Charaundi, where we will set up our camp. 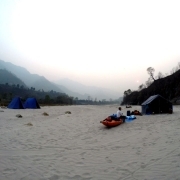 Early in the morning, after breakfast, we will start rafting from Charundai to Fishling. 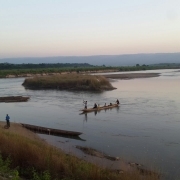 On our way, lie several rapids such as Twin Rock (Class III), Ladies Delight (Class III), Monsoon(Class IV-), Upset (Class IV) and Surprise (Class IV-). But again, you can choose to use a different route bypassing these rapids. We will be setting our camp for that day at Fishling. You can take your time and roam in and around this ancient village. 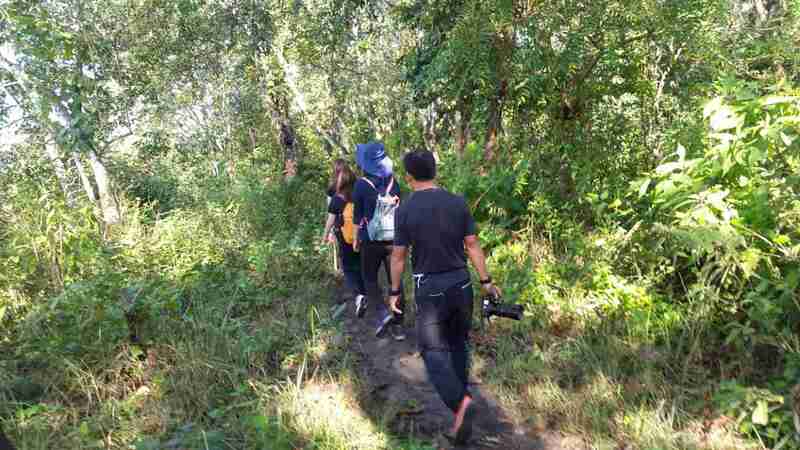 If you cross the nearby bridge and walk up for a short distance, you will see terraces of land full of vegetables. In the morning, after breakfast, we will explore the local villages that are near to Fishling. This region looks very beautiful. Please do bring your cameras, so that you can capture some exceptional snapshots. 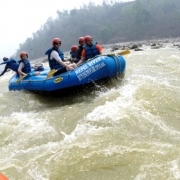 We will then be rafting for about one and half hour in Trishuli -and finish at Panch Kilo. On our way, we will encounter two popular rapdis – Butterfly (Classs IV-), and Manakamana (Class IV-), which may be avoided for safety reasons. Then, we will be having our lunch at Panch Kilo. 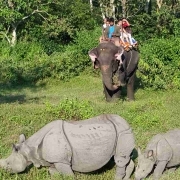 After lunch, our private van will come to pick you up and it will take you to Chitwan. 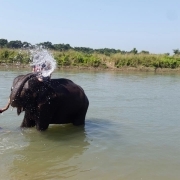 In Chitwan, you will be getting a welcome drink, at a hotel of our choice. 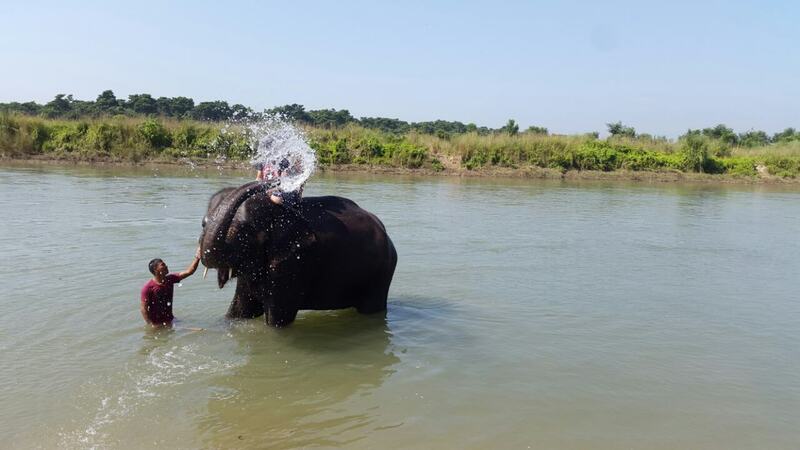 You will get time for rest and then we will take you to Sauraha, which is close to Rapti River, from where you can view the beautiful sun set. 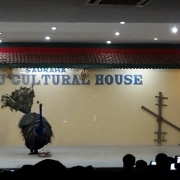 We will assemble at our hotel once more, and then head for nearby Tharu Culture Center, where you can enjoy native Tharu culture dance show. We will then get back to our hotel, have our dinner and spend the night there. 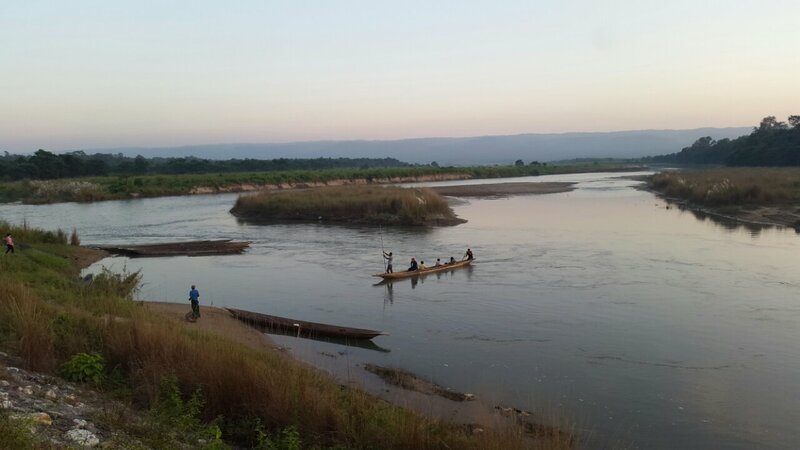 Early in the morning, after a filling breakfast, we will go for a traditional wood canoe ride in Narayani River. 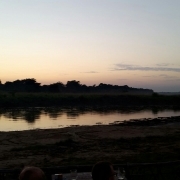 We will canoe for about 45 minutes, and during canoeing we will get to view different species of birds. In 2006, bird watchers recorded a total of 543 species of birds in this park alone. Our tour guide will brief you about bird species. It is always a good idea to bring binoculars with you, however we can rent them out to you on availability basis. We may even see rhino and/or crocodile, if we are lucky. 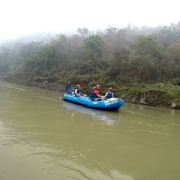 After canoeing, we will be trekking through the Jungle, where we will get to see many prized animals such as spotted deer, deer, boar, Royal Bengal Tiger (if we are lucky) and so on. 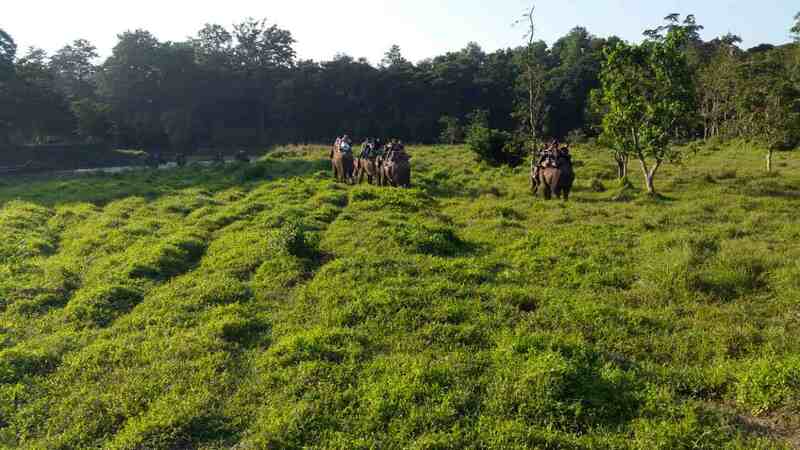 After the Jungle Trek, we will head to elephant breeding center and then to elephant bathing center. 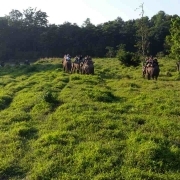 Next, after a filling lunch, we will take you on an elephant Jungle safari. Then, we will get back to our Resort, have our dinner and spend that night. 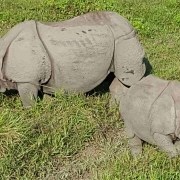 This will be our last day in Chitwan, we will be heading to Pokhara next. 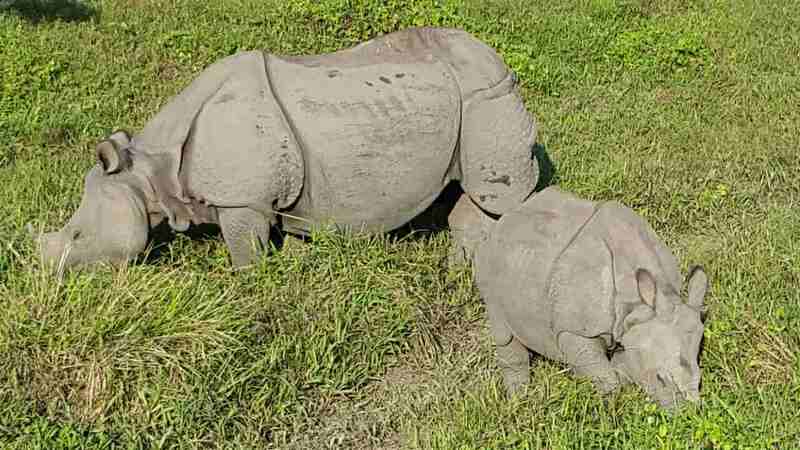 But before starting our trip, at Chitwan, after breakfast, early in the morning, we will take some time for bird watching – as birds gather around resorts during this time of the day. After bird watching, we will head to Pokhara on our private vehicle. 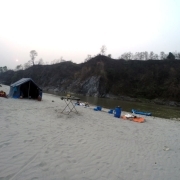 We will reach Pokhara in about five hours and check into our hotel, where we will spend some time refreshing ourselves. Then, we will be visiting Tal Barahi Temple, which lies in the middle of Phewa Lake. If for some reasons such as delay, we could not visit this temple the same day, we will do so next day. It will be evening by then, so we will return to our hotel and spend the night in our hotel. 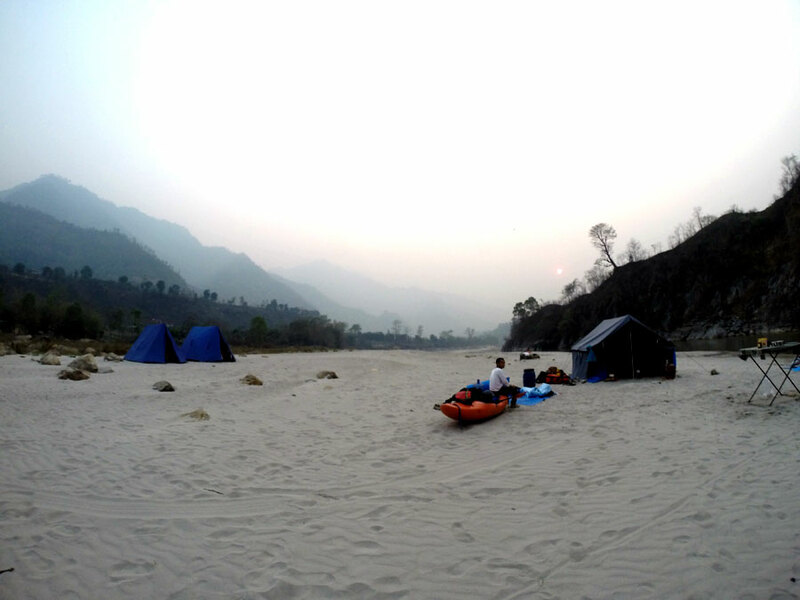 After having the morning tea, we will head to Sarangkot (1,600 m) to catch the early sunrise. Sarangkot is famous for its view of Mt.Machhapuchchhre (6,993 m) and Annapurna mountain range. We will return back to our hotel from Sarangkot for breakfast. 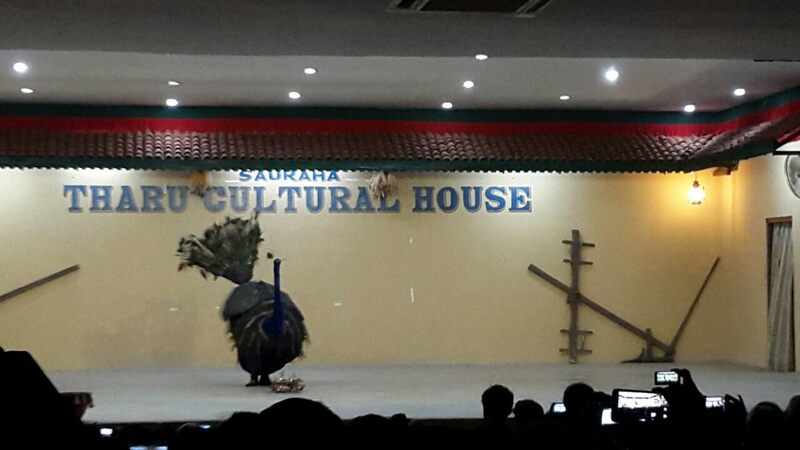 We will spend the remaining time of that day in Pokhara. There are several sites that are worth visiting. We will be taking you to Davis fall, International Mountain Museum, Bat Cave, Mahendra Gufa, and so on. Davis fall: It is also known as Patale Chango (which means underworld waterfall) in Nepali. You will see that this water fall forms an underground tunnel, 100 feet below ground level. 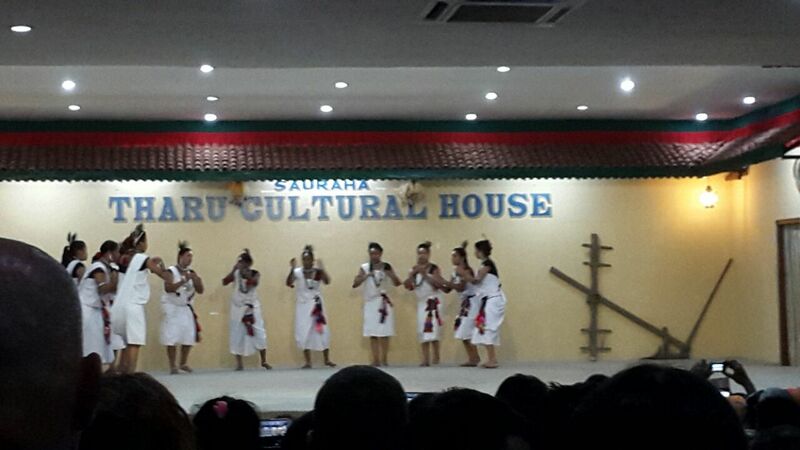 International Mountain Museum: This museum is devoted to mountains of Nepal. You can view displays related to geology, flora, culture and history of Himalaya. You will also be seeing mountain gears used by mountaineers during different time periods in history. Bat Cave: This cave houses thousands of horseshoe bats, which hang from the ceiling of this damp and smelly cave. Mahendra Gufa (cave): Mahendra Gufa is a limestone cave, inside which you can see the statue of Hindu lord Shiva. This cave is named after Late King Mahendra Bir Bikram Shah Dev. After roaming around Pokhara as time permits, we will get back to our hotel and spend the night there. Early in the morning, after breakfast we will depart to Kathmandu in a private van/car. We will have lunch at Malekhu (446 m). 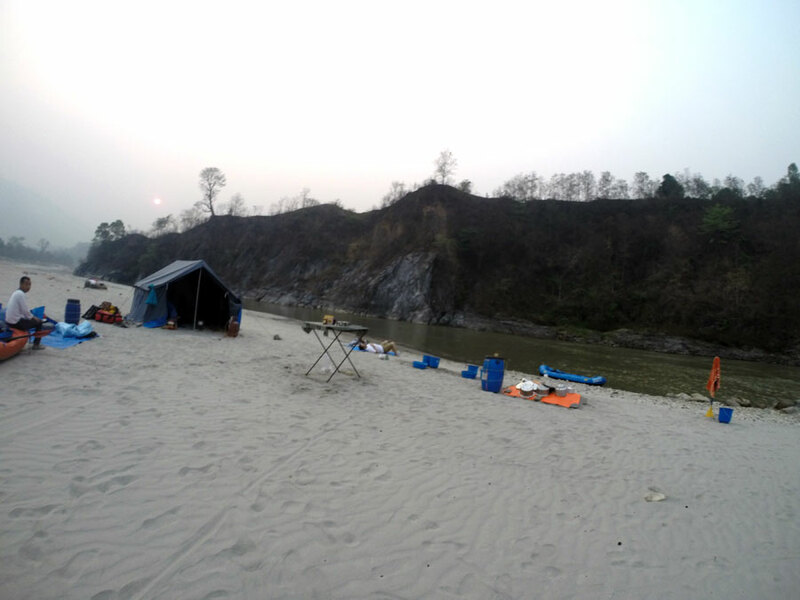 Malekhu is situated roughly between Kathmandu and Narayangadh, on the banks of the Trishuli River. It is famous for deep fried and smoked fresh fish dishes. We suggest you to savor the fish dishes here. It will take us about five hours to reach Kathmandu from Pokhara. There is another option, you may choose to fly from Pokhara to Kathmandu, which takes about 35 minutes. If you want to do so, please mention it during the time of booking. 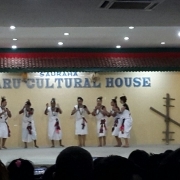 In the evening, at Kathmandu, we will have our farewell dinner on a local restaurant, where you will also get to see Nepali cultural dance. After dinner, we will return you back to your hotel.